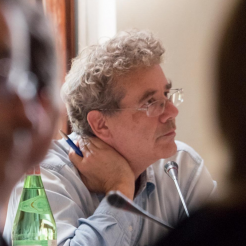 ‘Culture is more than a question of identity – it is something we cannot cope without,’ EUI Secretary General Vincenzo Grassi told a high-level policy workshop on international cultural relations, held at the EUI on 18-19 May. Despite signs of economic recovery, Europe still has many challenges ahead, including the ongoing challenges of migration, international security and the phenomenon of populism. In this context, ‘the challenge of building cultural identity is not something we can ignore,’ said Grassi. Cultural relations are already on the agenda of the EU institutions. In June 2016, the European External Action Service and the European Commission issued a Joint Communication, entitled ‘Towards an EU strategy for international cultural relations’. The communication recommended a three-way strategy to bring cultural relations to the forefront of European foreign policy: supporting culture as an engine for sustainable social and economic development; promoting culture and intercultural dialogue for peaceful intercommunity relations; and reinforcing cooperation on cultural heritage. 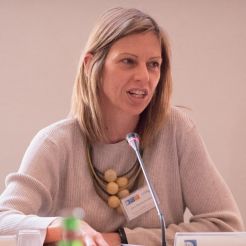 In Italy, ‘cultural policy is growing stronger but so too is populism’ Buitoni told the high-level workshop convened by Anna Triandafyllidou and Tamás Szűcs, a Principal Adviser in DG Education and Culture who is currently on sabbatical at the EUI. ‘The time ahead for Europe is crucial,’ she explained, pointing to the recent discussions about culture as a tool for dialogue between peoples at the G7 earlier this month. Through sustainable tourism, landscape protection and other measures, Italy is doing its part to calm cultural anxieties and fears by emphasising the rich cultural space Italians share. Yet according to Anna Triandafyllidou, the goal of cultural diplomacy should not be so much to share the same values but to link different values together. ‘Diversity and identity are the two key words of cultural diplomacy’ she said. Europe today is home to more than Italians, Germans, Spaniards and Danes. Since 2004 it has become home to Estonians, Latvians and Poles. Moving forwards, Europe must also consider how member states and the wider European society can negotiate the movement and arrival of migrants from other communities inside and outside the EU. Cultural diplomacy refers to the exchange of ideas, values and traditions, not only between societies but also across the evolving ethnic, gender, class-based or generational groups which form every EU member state. In this regard, Buitoni interprets the fading facades of Italian cityscapes as a sign that much more can be done. ‘We are a Baroque country, with too much bureaucracy’ she said. ‘We emphasise conservation without modernization. We are afraid of being contemporary.’ The same, she argued, can be said of the country’s response to a changing society. ‘We think our main talent is to look after what we already have,’ she said, encouraging a more responsive conception of Italy’s cultural content. For the best part of two decades, European policy leaders have been working to cultivate the place of cultural diplomacy at the front of European foreign policy. Yet at the end of 2016, almost half of Europeans (46%) believed that social equality and solidarity must be further emphasised in order to face major global challenges. Even forty years ago, the European University Institute was created as a forum for sharing knowledge, ideas and experiences of Europe. Although the function of the Institute has expanded since its creation to include the policy-oriented Robert Schuman Centre and the Max Weber postdoctoral programme, the original ethos remains. ‘We are the only European institute with a clear academic and cultural vocation,’ explained Vincenzo Grassi. As what it means to be European evolves, more could be done to forge such solidarity between diverse individuals. ‘Culture is a key issue in this landscape,’ he said. A photo gallery of the event is available online. Vincenzo Grassi is the Secretary-General of the European University Institute. Anna Triandafyllidou is Professor at the Global Governance Programme (GGP) of the Robert Schuman Centre for Advanced Studies (RSCAS). Ilaria Borletti Buitoni is Undersecretary of State of the Ministry of Cultural Heritage and Activities Tourism in Italy. Quotes included in this article were made during sessions of the workshop on 18 May.